WHAT: After escaping the doomed planet Krypton as a child, Kara Zor-El (Melissa Benoist) is raised by a foster family on Earth, where she learns to conceal her superpowers and her true identity as Superman’s cousin. Years later, Kara continues to live a normal life working as the assistant for media mogul Cat Grant (Calista Flockhart) in National City. 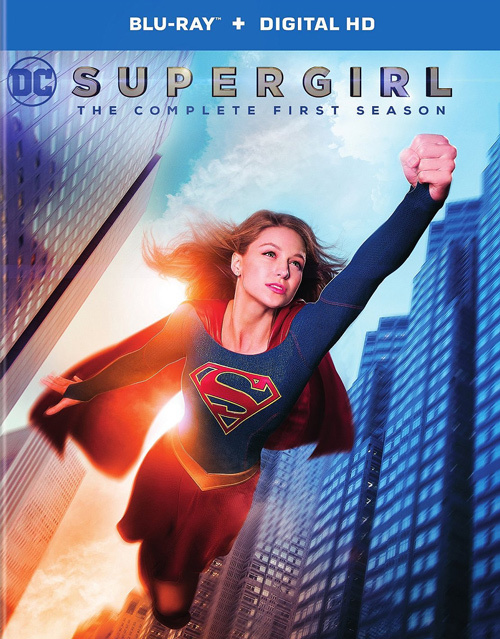 But when she gets the sudden urge to use her powers for good, Kara must learn to balance her personal life and her new role as Supergirl with the help of adopted sister Alex (Chyler Leigh) and co-workers James Olsen (Mehcad Brooks) and Winn Schott (Jeremy Jordan). WHY: Marvel may be winning the battle of the comic book heroes on the big screen, but DC has carved out a nice little niche on the small screen with shows like “Arrow,” “The Flash” and “Legends of Tomorrow.” The latest addition to producer Greg Berlanti’s capes-and-tights TV lineup is a mildly amusing but flawed superhero drama that is arguably the weakest of all the DC series. Though the cast grows on you over time, Melissa Benoist flies circles around her co-stars for much of the season, especially Calista Flockhart, whose over-the-top performance as Kara’s boss feels like it’s from a completely different show. In fact, none of the supporting characters are very interesting, and that’s in direct contrast to the aforementioned series, which succeed largely because of them. The biggest problem, however, is that Supergirl isn’t that compelling herself (despite Benoist’s great performance), and it shows in her rogue’s gallery of villains, which are just as uninspired and cheap-looking as the action sequences. Perhaps it will perform better alongside its fellow superhero shows on The CW, because in its original iteration on CBS, “Supergirl” isn’t really super at all. EXTRAS: In addition to the 2015 Comic-Con panel, there’s a pair of featurettes on Krypton and Martian Manhunter, some deleted scenes and a gag reel. 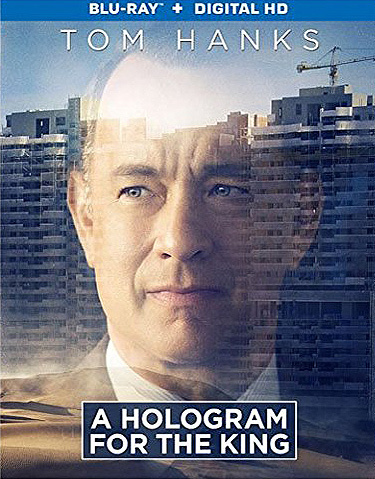 WHAT: Struggling American businessman Alan Clay (Tom Hanks) is sent by his company to Saudi Arabia to pitch a state-of-the-art holographic teleconferencing system to the king. While Alan and his team patiently await the king’s arrival, he spends his days navigating the country’s unique customs alongside his friendly driver Yousef (Alexander Black) and a beautiful doctor named Zahara (Sarita Choudhury). WHY: Director Tom Tykwer’s latest film was unceremoniously released in theaters earlier this year with little fanfare, and while it may have seemed like a strange decision at the time, it makes sense after seeing it. Based on David Eggers’ award-winning novel of the same name, “A Hologram for the King” isn’t a bad movie – in fact, it’s perfectly mediocre in every way – but it’s not a very memorable one, either. Though it boasts a strong performance from the always reliable Tom Hanks and good supporting turns by Alexander Black and Sarita Choudhury, the movie is a somewhat bland and uneven character study about a middle-aged white guy getting his groove back in the Middle East. Most of the film plays like your typical fish-out-of-water story before switching focus to the romantic subplot between Alan and Zahara in the final act, but while it’s an interesting development that explores the difficulties of such a relationship in Saudi Arabia, it feels so rushed that Tykwer is unable to give it the attention it deserves. EXTRAS: There are two featurettes on production and adapting David Eggers’ novel.